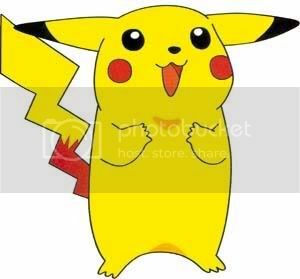 What if Pikachu were real? They are—kind of. The real things are called pikas. They’re brown (not yellow), say “eeep” instead of “pikachu” and don’t have lightening bolt tails. But they’re still pretty darn cute. American pikas are found in the mountains of California, Idaho, Montana, Nevada, New Mexico, Oregon, Utah, Washington and Wyoming. These adorable rabbit-relatives usually live in boulder fields (called ‘talus’) above the treeline. Here, they hop, eeep and eat—and eat and eat, filling their stomachs nine times per day. When pikas aren’t eating, they’re gathering food for the winter. (They don’t hibernate like bears do.) During the summer, they make as many as 13 foraging trips per hour. The little guys weigh only 1/3 of a pound, but they need to collect at least 60 pounds of grass, flowers and other plants for their winter stashes, called “haypiles,” that serve double-duty as warm bedding and munchies to help the pikas make it through the winter. Being able to withstand the cold seems like a pretty good adaptation for a critter that lives in a cold environment. And it is—unless that environment gets warmer…which would be a totally preposterous idea if it weren’t for something called global climate change. Scientists expect summer temperatures in the western U.S. to increase by more than 10.3°F in the next century with more frequent and longer heat waves. Plus, they say, high elevations may get even warmer. For pikas, this could be problematic. While death by overheating is pretty scary, it’s not the only problem pikas will face in a warmer environment. Pikas tend to avoid foraging in hot weather (because it will likely kill them) so scientists fear that consistent high temperatures will prevent pikas from foraging. If they don’t forage, they won’t get the nutrients they need to survive and the food they need to sustain them through the winter. Of course, warmer weather may also change the composition of the plants that grow in the alpine meadows surrounding pika habitat. These plants may not provide the nutrients pikas need—or they might be yucky. Some pika populations in the Great Basin have already disappeared. Other pikas have moved an average of 900 feet upslope. Still others are trapped on isolated mountaintops—to get to another mountaintop would require going through a hot (and therefore deadly) valley. Hm, somehow I missed out on the popples! Man.